As much as I tried to keep pace with my translations, clearly something has to give now that a certain drama has exploded into a pocket mania around here. Plus Tong Hua decided to throw what might be one of her longest chapters ever at me, hence chapter 21 is getting split into two parts. It’s either that or you all keep waiting. If anyone ever told me that a novel would take 20 chapters(!!!) before letting an OTP reunite, I would decree that it sucked for dragging it out on principle alone. Yet Yun Zhong Ge so marvelously reveals that the depth of the story is far greater than just the romantic relationships, which are in fact controlled by such external forces. What will happen once Yun Ge wakes up to discover a truth that might just be worse than what Meng Jue did to her? What will she do when she realizes that she’s not just a victim, there is someone else out there in even more emotional pain than she is in? This chapter is both beautiful and heartbreaking, and even part I is already so satisfying to read. Perhaps it was the emotion flowing from Liu Fu Ling’s flute. Perhaps it was Yun Ge’s own desire to stay alive. Whatever the reason, Yun Ge’s injury stabilized and her fever started to break. The second Yun Ge opened her eyes, she felt someone was next to her looking at her. In her daze, she felt her heart hurting and her body hurting. She unconsciously called out “Jue, I hurt!”, just like when they were happily together and she could complain to him about anything unhappy or upsetting. The moment those words left her lips, she remembered that Meng Jue was no longer her Meng Jue. She viciously jerked her heart back and turned to look carefully at the person in front of her. It was like Yun Ge had been struck by lightning. She felt her entire world turn upside turn in an instant. Yun Ge dumbly stared at him, and Liu Fu Ling looked directly back at her. In the depth of his dark eyes there was so much inside. With the littlest prodding, Yun Ge would understand everything. But she could not. She jerked her eyes downward and stared at his waist. No jade. She breathed a sigh of relief. She stared at the jade. In her eyes there was stunned shock, there was fear, and there was despair. Liu Fu Ling silently waited. The jade in Liu Fu Ling’s hand hit the floor with a loud crack. In his eyes there was only numb despair. The golden sunlight shone in from the window and bathed their forms. The warmth appeared to tie the shadow of the man and the woman together. Inside the room, there was only unending silence so thick it could suffocate even the sunlight. He stood up and politely replied “Young lady you have just woken up after a grave injury. I will not bother you any longer. Please don’t worry about anything, the most important thing is to recover your health first.” He bowed towards her and walked out of the room. She felt her entire heart was empty, her entire mind was blank. It was as if she took even one step forward and she would tumble down an abyss with no end. So she can only take big steps backward. 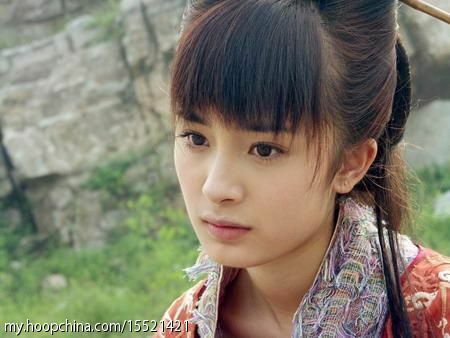 She can only repeat over and over to herself that her Ling gege is Liu Bing Yi, and he’s already married to Xu jiejie. It must be, it must be, she must not have made a mistake! She must not have made a mistake! Yun Ge could not get up and move around yet. To keep the pain under control, her medication also contained a sleeping aid so she spent most of her days in and out of sleep. She would be awake for a short time and then go back to sleep. When she was awake, she didn’t utter a single word, only staring into the distance in a daze. When Yu An asked Yun Ge what she wanted, what she felt like eating, it was as if she didn’t even hear him talking to her. She said not a single word, and her expression never changed once. If he didn’t know that Yun Ge could talk, he would’ve thought she was a mute. Yun Ge only wanted to seal herself up so that she had no contact with the outside world. She wanted to hide in her own corner and not move a single inch. Yun Ge was silent, and Liu Fu Ling was also silent. Both of them gradually wasted away in their mutual silence. Two people who are so close, yet appear to be so far away. Liu Fu Ling came to see Yun Ge twice more, but both times Yun Ge continued to stare at the corner and never once looked at him. She responded very politely, but it was her politeness that showed how cold and distant she was. Every time Liu Fu Ling came to visit, Yun Ge’s condition would take a turn for the worse. One time she even fell back into a high fever, and even Dr. Zhang couldn’t figure out why. She was clearly getting better, so why did she relapse? From then on, Liu Fu Ling stopped coming to see Yun Ge. He completely disappeared from her sight. Only the serving girl Muo Cha accompanied Yun Ge daily, with Yu An sometimes coming by to check on her living conditions. That person who turned her world upside down appeared to have vanished, so Yun Ge could continue to repeat to herself that she didn’t make a mistake, nothing that happened was a mistake! But in her dreams she would remember things, and those memories were vividly clear. In the late night, she could hear the faint sound of a flute playing, the song full of longing. When she woke up, she would try to forget it all. When she was awake, all she felt was pain, all sorts of pain. So painful she couldn’t think clearly. So all she could not was not think, and forget everything. One day, after the effects of her medicine wore off in the afternoon, Yun Ge was in a state of half sleep-half awake. She opened her eyes and saw a shadow outside her window pane. She immediately closed her eyes and told herself that she saw nothing, that she knows nothing. The sun was directly overhead and it was at its strongest peak. The shadow never moved and didn’t disappear. Yun Ge heard Yu An’s voice saying something, and the shadow appeared to order something, and then the shadow disappeared. It was then that her heart, which was dangling over a precipice, finally relaxed. But then she felt like crying. She told herself that there was no reason for her to feel this way. Why would she cry? That was just a nice man that she’s never met before who happened to save her life. As she said this to herself, her tears landed on her pillow. From then on, every day at noon, Yun Ge would lay on her pallet after taking her medicine. She ought to be napping, but instead she was extraordinarily awake. Every day at noon, he would always come visit her after she took her medicine. Even separated by just a thin window pane covering, he would just silently stand in the courtyard and never enter the room. He would arrive quietly, and leave just as quietly. Sometimes he would stay longer, sometimes he would stay shorter. One person inside the window, one person outside the window, and with that two months passed by. Yun Ge shook her head and then pointed to the chair again. Muo Cha finally understood and moved the chair outside into the courtyard, despite not understanding why Yun Ge wanted it that way. Yun Ge looked outside and the closed her eyes and went to sleep. The next day, when Liu Fu Ling arrived, the room was silent as usual. And as usual, he stood under the blazing noon day sun right outside her window, silently keeping her company. Even though she didn’t want to see him, but knowing that she was peacefully sleeping inside the room, knowing that she was so close to him and no longer an unknown distance away, it brought him comfort. Liu Fu Ling was almost out of the courtyard when he heard this and immediately halted. He turned and stared at the window, his gaze so sharp it appeared to pierce through the covering and staring at the person inside. Yu An happily asked “The young miss has spoken?” Muo Cha shook her head. Liu Fu Ling ignored Yu An and instead walked over to the chair and sat down without saying a word. Yu An was nervous and he also couldn’t figure out what was going on. He was just about to have someone send Huo Guang away when Liu Fu Ling stood back up and then left. Yu An was beyond confused and he rubbed his head. Once again, he lamented why his parents didn’t give him a few more brains in his head. Yun Ge’s injury took very long to heal. Half was because it was truly a severe injury, the other half was her own emotional illness. By the time she could tentatively get off the bed, it was already late Autumn. She had laid on the pallet for two months and her bones were all itchy and sore for lack of use. She waited until the doctor okayed her moving around, and immediately she wanted to walk outside. Muo Cha wanted to assist Yun Ge, but Yun Ge pushed Muo Cha aside and slowly walked as she held on to the wall for support. She didn’t know where she was, she didn’t know how she got here. But none of these things mattered in her upside down world. Yun Ge followed the wall and slowly walked out of the courtyard. After walking for a bit, she was sweating profusely. It had been too long since she walked and she hated feeling so weak. She wanted to follow the steps and climb a bit more, but she had reached the end of her endurance. Her legs buckled and she was falling when suddenly a person supported her from behind. Yun Ge thought it was Muo Cha, but when she turned around and saw it was Liu Fu Ling, her body stiffened. She quickly tried to push away from him. Because the sword stab had injured her vital organs, right now she couldn’t use any strength and instead it caused her to violently start coughing. Liu Fu Ling held her with one hand as his other hand helped to stroke her back to calm her breathing down. She wanted to tell him to go away, but when the words came to her lips, she couldn’t say it when she saw his dark eyes, his tightly pressed lips. She felt this aching pain in her heart and she couldn’t say anything. She pushed his hands away and sat down on the steps. She buried her head in her knees so she couldn’t see anything, she couldn’t feel anything. Like that, her world could return to normal. Liu Fu Ling silently sat next to her, staring at the golden trees in the distance. He appeared to be talking to himself “Do you see the leaves in front? It reminds me of the colors of the desert. Every year I would live here for some time, and when I had free time, my favorite place is here. During the day I can view the Autumn scenery, during the night I can view the stars. All these years, I haven’t gotten better at much but my astronomy knowledge has improved greatly.” Liu Fu Ling started listing the stars and constellations. Yun Ge tears fell on her skirt one drop after another. All those stars and constellations, she had studied them all. She flipped through books, she searched the night sky, and day in and day out, she gradually knew more astronomy than even those fortune tellers who use the stars as their guide. She knew that he would know, and she knew that he would understand. So how could she face him now? Despite taking a sleeping aid, Yun Ge could not fall asleep. She heard the sound of a flute playing in the middle of the night, and it was a very familiar tune. So it wasn’t all just a dream! Yun Ge listened for some time and then she got up and grabbed a robe. Yun Ge was startled and she turned around and saw it was Liu Fu Ling’s personal servant. She said nothing and silently stood there. Yu An thought about it some more but decided to heck with it. He started to recount how Liu Fu Ling lived his life for these past years. Late at night, when my lord can’t sleep, he will play the flute, and over and over he plays the same tune. Yu An spoke for over half an hour non stop, and by the time he was finished, Yun Ge’s face was long since tear-drenched. Liu Fu Ling was leaning on the railing and quietly staring at the stars. He felt a movement behind him and thought it was Yu An. But when some time passed and he didn’t hear Yu An announce himself, he turned around and saw Yun Ge standing in the corridor. Yun Ge grabbed his sleeve, indicating for him to stop. Yun Ge leaned against the railing and sat down. She stared into the distance and started to calmly recount what happened to her in Chang An. Liu Fu Ling heard that there was someone who looked like him, and also had an identical jade piece. His heart thundered, but what hurt more was the knowledge of how cruel the fates could be. Yun Ge casually described meeting another person. Her face was expressionless, almost like she was telling someone else’s story. She didn’t want to mention that person’s name, only referring to him as “he”. From their first meeting until their final separation, she glossed over it all with just a few sentences. But her hand was tightly clenching the railing and her face was stark white. Yun Ge could no longer keep up her calm pretense and her tears spilled over, forcing her to turn her head aside. She much rather he was angry at her, he yelled at her, he demanded to know why she broke her promise. He should be angry that she wasn’t true to him. But instead he just looked at her, his expression calm, his voice light, as if there was very little emotion flowing from him. But hidden in the depths of his eyes, she could see all the pain and all the sorrow. Yun Ge muffled her laughter but before she could smile openly, her tears continued to fall. From then on, Yun Ge stopped refusing to see Liu Fu Ling. But the two of them continued to speak very little to each other. Liu Fu Ling was someone who normally spoke very little, but Yun Ge chose not to speak much because she was hurting inside and out. Oftentimes the two of them would be inside the room and not say a word to each other for hours. Sometimes when the hours passed, Yu An and Muo Cha who were standing guard outside would wonder to themselves if anyone was actually inside the room. Despite most of the time spent in silence, the two of them had their own way of spending time together. Liu Fu Ling brought a zither for Yun Ge, and found her lots of rare and unique books to read. The two of them would play the zither or read together. When Yun Ge read a funny passage, she would smile. He would look at her smiling, and the smile would reach his eyes. Liu Fu Ling treated Yun Ge as if she was his friend. He never mentioned the past, and never discussed the future. He didn’t purposely try to get closer to her, not did he purposely keep his distance from her. His calmness influenced her, so that gradually when she faced him, her nervousness and guilt started to lessen. Her natural personality began to return. The two of them already had a kindred understanding with each other more than normal people would. Often not a word needed to be said and they would know what each other was thinking. After spending more and more time together, they started growing more at ease with each other. Liu Fu Ling ordered all the cook books brought over from the Palace, letting Yun Ge read them for fun to pass the time. There were quite a few odd and unique recipes, and discussions on what foods to avoid mixing together. But the notes were scattered in places and not collected together. When Yun Ge read it, her interest was piqued but she lamented not being about to do anything about it. Liu Fu Ling encouraged her to write a recipe book. Historical saying goes that “A gentlemen avoids the kitchen”, so scholars never deigned to write down what happened in the kitchen, and chefs didn’t know how to write. But Yun Ge could do both, so why don’t she write a recipe about the foods of their time so that their descendents could use it as a reference. Perhaps one day someone will read Yun Ge’s book and sigh over it. Yun Ge felt her inspiration rising and she vowed to start taking notes henceforth to use as a reference for later when she wrote her recipe book. Liu Fu Ling would not let her write, telling her only to mark her notes. Everyday when he finished his work, he would look through her notes and meticulously copy it down in a notebook for her. Some old books use very antiquated language or go into odd details, so Liu Fu Ling would patiently make annotations for her, explaining in simple terms so that she can easily understand later on. Liu Fu Ling’s calligraphy was extraordinarily beautiful. Each character that flowed from his brush could be framed and used as a reference for future generations to emulate. It was like a dragon in flight as the words danced across the page. Liu Fu Ling’s knowledge was also so deep and so vast that it left Yun Ge speechless and in awe. His brain appeared to contain anything he has ever read before. Any passage, any phrase, no matter how obscure, he didn’t need to check the book and could immediately tell where it originated from, down to the correct page and paragraph. As Yun Ge’s body recovered, some of her woeful air went away and her mischievous spirit came back. She started trying to test Liu Fu Ling. When Liu Fu Ling wasn’t around, she would look in books for the most random phrases to test Liu Fu Ling later, from the classics to the naming texts to the poems. In the beginning, Liu Fu Ling would write down the answer immediately. Later on, he needed to think about it but he always got the answer correct in the end. If Liu Fu Ling answered correctly, then Yun Ge could have to play a song on the zither that he requested. Day in and day out, Yun Ge’s previously terribly zither skills improved by leaps and bounds. And in the music of the zither, Yun Ge discovered a world of enjoyment she had previously ignored. If Yun Ge won, Liu Fu Ling would have to do something she wanted. But Yun Ge had yet to collect on that. Yun Ge lost every single day, but she never got mad. Instead it spurred her on to use her brains to keep thinking. Finally she realized that all the books she had were given to her by him. If it was his book, then of course he’s read it. She would never beat him that way. If she wanted to win, she would have to jump outside those books. Jump outside those books? Sounds easier than it actually is. Yun Ge thought about all the books piled in her room and her face turn dark. When Liu Fu Ling entered the room, he saw Yun Ge laying diagonally on the pallet reading a book. She didn’t even raise her head when she heard him enter, focused intently on what she was reading. Muo Cha looked all excited and giddy, standing by the door as if she was waiting for an instruction. Yu An wanted to help Liu Fu Ling wash his hands first but Liu Fu Ling waved him away and walked over to the table, picking up the question Yun Ge left for him. It read very amusingly but wasn’t easy to answer. Liu Fu Ling thought about it, first going through the books and then breaking apart each character. He couldn’t find a person’s name which answered this riddle. Liu Fu Ling thought about just letting her win on. She was always curious so he devised this game to keep her from growing bored. And he didn’t want her to win so that she could keep racking her brains for ways to torment him. The second he put the riddle down he realized what the answer was. Who says it has to be the name of a famous or historical person, or even the name of someone in a book. This riddle is the name of two people combined together, but she purposely didn’t make it clear. Even though Yun Ge’s riddle was not playing fair, but when it came to the two of them, it was acceptable. His hand brushed over the words of the riddle and his eyes twinkled with mirth. Yun Ge immediately tossed her book aside and clapped her hand and laughed “Muo Cha!” Muo Cha quickly brought over a coal stove and a tea set, clearly the lady and her maid had already planned this. Yu An, who was standing outside the curtains, smiled. The Emperor was a brilliant child smarter than anyone out there, he wasn’t called a genius for nothing. Poetry, writing, music, he excelled at everything. But when it came to brewing tea………. Liu Fu Ling calmed kneeled down and calmly looked at the coal stove. One was giving instructions while the other was following the instructions. Outside the curtains, Muo Cha and Yu An were keeping their laughter bottled up inside and it threatened to burst their belly from the suppressed giggles. How many people would ever have the chance to see the Son of the Heavens rolling up his sleeve as he hurriedly started a fire, boiled water, and brewed tea? Yu An and Muo Cha both shivered. He put in the entire can? Did the Emperor think he was cooking porridge? Yu An silently lamented this precious tea that was sent as an offering to the Emperor was thus wasted. It was expensive, but then the taste………. Yu An suddenly understood why Yun Ge had an odd smile after she drank the tea. And this was the moment Yu An started genuinely having a good impression of Yun Ge. Despite Yun Ge’s reaction being very swift, Liu Fu Ling grew up in a world where he was surrounded by people always plotting around him, so he knew what she was doing. He knew, but he said nothing, only quietly looking at her. He saw Yun Ge calmly lift up her cup to drink more of the tea. He wanted to grab the tea cup in Yun Ge’s hand but Yun Ge wouldn’t let go. He instead grabbed Yun Ge’s entire hand and pulled it over so he could drink the rest of the tea. Yun Ge kept her head lowered and didn’t reply. When she heard his footsteps move away, she suddenly stood up and called out “Muo Cha!” Muo Cha quickly came inside. “You tell Yu An that Ling gege’s hand has been burned.” Muo Cha nodded and hurried outside. * covers eyes * while reading… do I dare? Am scared. How can that make me swoon? But it did. Oh my. Even though I ship Meng Jue-Yun Ge, it made me swoon too! YES!!! Thanks Ms K. You’re the best! Just also want to say how much I do appreciate you sacrificing personal time on your weekends to feed my desperate addiction to this novel. Luv you to pieces! How sweet that he is courting her again! I felt so sorry for him at the start when she pretended not to know him. Such a let down after all the years of waiting and self denial. ahhhhh!!!! YuGe is out of her shell!! thanks to YuAn for the explanation to clear up the misunderstanding. I feel for her the most as she came looking for her it’s partly his fault to also not share the full true when he’s aware there’s another person out there with the jade too. oh how much the hurt, betrayal, regret and the unfairness!!! I so glad she wasn’t push and had time to recover and now being herself with her ling gege. I wonder how she will also feel when the real identity of her ling gege… I just hope she will realize it or he will comfortably tell or share it. finally Ling Gege found his lady first love… i hope he will be happy during this time. Sweetness over load, thnx Koala. In another note, I have not watch yesterday episode of Fondant Garden Koala unni. I think it will be fully eng sub tonight. Therefore, I will watch it tonight and let you know what I think.. What do you think so far Koala unni. I was wondering about that too – but I think its the mix between Liu Fu Ling’s name and Yun Ge’s name because in the story it said ” This riddle is the name of two people combined together, but she purposely didn’t make it clear. Even though Yun Ge’s riddle was not playing fair, but when it came to the two of them, it was acceptable. His hand brushed over the words of the riddle and his eyes twinkled with mirth.” Only a speculation, not a hundred percent sure and even if it is the mix of their two names I have no idea what it is. Anyway, thank you for the wonderful chapter Ms. Koala! Seem to be a combination of both their name. First 2 lines should be Yun Ge’s name and Ling Gege’s name in the second two line. The words have it, the hands doesnt – I’m guessing this must be Fu but I dont know why at all. “The words have it, the hands doesn’t “. The chinese character “Liu” is contains the word “Wen” which means prose/words in chinese. Hence the answer to the riddle is Yun Ge + Liu Ling (which is the name Liu Fu Ling gave Yun Ge in chapter 1 as he has not reveal his real name/identity to her yet). Interesting, he has a photographic memory. Its sad to see her torturing both of them with her bottled up sadness. dropped everything on my kitchen to read this super duper chapter..er..part one….thanks koala for feeding our addictions….LOL..
“From now on, as long as I am here, you will not be tasting bitterness all by yourself.”…… Swoonnnnnn…..
Just also thinking that it’s been more than 2 months since Yun Ge vanished into thin air. What must Meng Jue and the others be thinking right now and how will they discover what has happened to her? What makes it even more poignant is that by nature, he is cold and distant to all around him (probably deliberately cultivated as a means of self preservation). We have been told that he cannot stand having people in close proximity with him. To see him now on the other end, reaching out to someone else is all the more endearing. Just a random musing: Though LFL is so unlike her daddy HQB in such that he was so forward and persistent with Jin Yu, but his personality was also that of cold and distant from others. But to Jin Yu he was tender, endearing, and loving. And such is LFL towards YG. Even though their methods are different, but ahh.. only love can break down barriers that have been set up so strongly against others. Also very telling that those closest to him (servants like Yu An) love him and are fiercely loyal and protective. Ah, Ling gege is indeed perfect as you said, Koala. But…but…I still miss the King of the Jades. I wonder how he is, how he is dealing with Yun Ge’s disappearance and trying to outwit Hou Guang. Anyways, my personal feelings aside, Ling gege really does know her heart inside and out. Who wouldn’t want a guy who brings you books, and not only that, who would think of a way to turn your talent into something bigger, like writing a cookbook? I cannot wait until she is well enough to cook for him and give him more riddles. They are never going to get a second chance, don’t they? Sigh. The atmosphere in this first half of the chapter is so touching. Yun Ge is one lucky woman to have LFL by her side. And you Ms. Koala, is so generous with another beautiful chapter. Thank you. tong hua is mighty brilliant. with one very simple tea brewing scene, she can make us laugh with LFL’s tea brewing attempt, and make us go awwwww with his one line to YG about tasting bitterness with her. Ms k u said heart breaking and i thought it will be at the end but no 1st para ”jue i hurt” i threw my phone then 2nd para i threw it again. Then i braced my self and everything was ok.. I LOVE YUN ZONG GE…. I can read it again and again and again. Ooolala! I can start a Li Ge Ge Appreciation club! I hope Yun Ge warms up to him soon to make up for his many lonely years at the palace. I don’t know how many times I read the first chapter of LFL and YunGe’s for their sweet encounter…. and this chapter made me think back on it… If only it wasn’t so BITTERsweet. I keep feeling like theres an awkward unspoken subject among the two… just like a big fat elephant in the room, but no one talks about it. Anyway, you really made my day. I don’t know when… but maybe since DMY days, I’ve became an addict to your site…. Checking it every moment I can… Hallucinating a new translated entry… Lol. So, like always, for posting up this chapter and satisfying my addiction, THANK YOU!!!!! I thought they DID talk about it. Yunge confessed about liking another man and ling gege forgive her for it but she herself hasnt so he’s giving her time neither pushing or distancing himself. When he said “From now on, as long as I am here, you will not be tasting bitterness all by yourself.” she pretended not to hear. And after she wiped his face and he held her hand, she said she was tired to avoid seeing his true feelings. In a sense, it’s like ling gege’s feeling is the big fat elephant and she is the pretending not to see it. Then again, this may just be how I felt while reading this. So sweet, but bittersweet in account if ling gege. in a very short span of time, she has been fatally injured as well as emotionally battered by a romance gone wrong. She is just very careful now with her heart and he knows it which is why he is being very patient towards her so as not to frighten her away by the strength of his feelings. Thank you koala! I loveeeeeeee ling ge ge. Can’t wait to see their love blossom. Thank you so much. This is beautiful & it clarifies the things I didn’t understand correctly in Chinese. Yun Ge, please love and cherish Ling Gege from now on. I cannot take it every time he feels hurt. I can’t wait to see more of their interactions. What is there promised, will getting marriage? But koala, thank you for your translation….hehehhehe…..
but it is consider not valid because before Yun Ge does not know what the meaning of what she did (giving shoe)..
No, it’s valid. That’s why Ling gege told her, “I accept it. Yun Ge, you must remember.” (or something along those lines; I am not going to go back and look for it.) He knew that she didn’t know what it meant, but it’s pretty much a “when you do know, you better remember this promise!” And Yun Ge, from a very young age, knew that once you make a promise, you have to fulfill it. You cannot play the ignorance card when it comes to promises. I guess it’s very much, you gotta do what you say. This is how her parents are too, and that is what makes them honorable in society. Also, Yun Ge has pretty much grown up thinking that she was an engaged woman when she found out what the giving of the shoe meant. Hence, she was very disappointed when she met LBY and he didn’t remember her and then he got married to another..
Koala, THANK YOU for part one of this chapter! It’s beautifully written that YG and Ling gege gradually get reacquainted. Their “games” are so precious! The fact that they kept each other company just by sitting silently in the same room together for hours….. shines a spotlight on their mental and emotional connection. Each has a true soulmate in the other. Is it sad that I’ve read this half chapter 5 times? Oy, I know I’m only punishing myself at this point but…..so sweet. I do get the feeling that somehow MJ will survive without YG. After all, he did reflect on the fact that if he hadn’t met YG, HCJ would have been a good match for him, considering his ambitions. However, for LFL, there is no one else, which is why he cannot lose his one chance at finding happiness with YG. Oh my , I’m in love with Ling gege !!! he is so sweet !!! Was so happy when I saw this but had to leave without reading. Now have read this several times…great morning! Thanks so much!! this chapter is very touching. my heart breaks for Ling gege when Yun Ge woke up and he knew that she recognised him but pretended not to know him. i feel pity for Yun Ge as she realised she mistook someone else as her Ling gege and led to what she called a betrayal of the promise. I. LOVE. IT! Thanks a bunch! Awww, OTP finding each other this way is so emotionally wrenching. Ling gege’s so sweet, one could die of saccharine overdose. But the story is sooo addicting, can’t wait for more. I’ve read it several times already, just in case I missed a molecule of sugar. And BIG THANK YOU, dear koala. reminds me of jiu ye all over again….